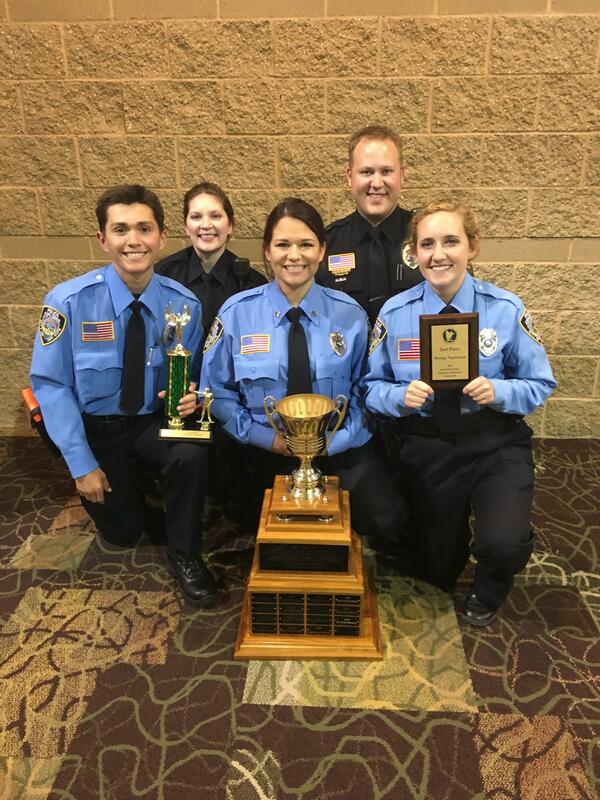 | Congratulations New Hope Police Explorers! 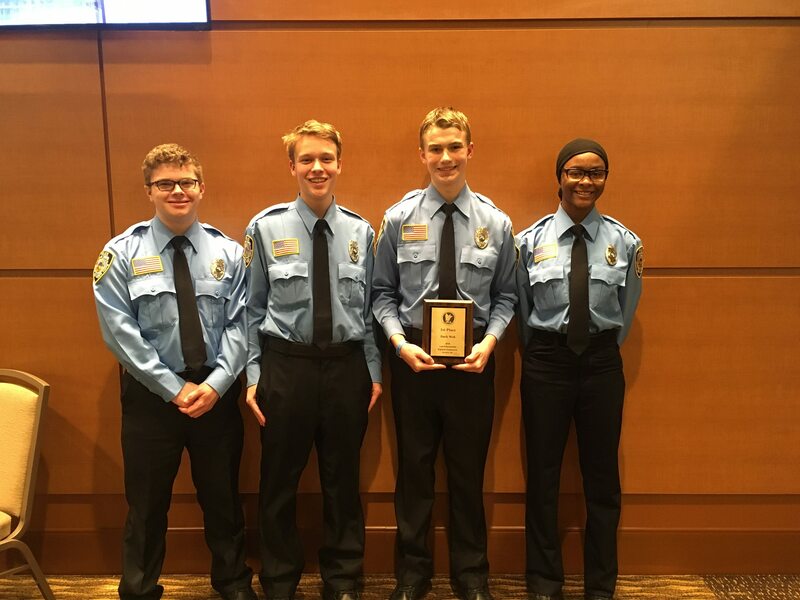 New Hope Police Explorer Post 915 was among the 48 explorer posts from Minnesota and North Dakota who participated in the 43rd annual Minnesota Law Enforcement Explorer Association state conference in Rochester. The New Hope group competed in practical exercise events including: Crime Prevention, Domestic Crisis, Emergency First Aid and Witness Interview/Interrogation. The also participated in two academic sessions including Defensive Tactics and Dark Web. New Hope’s first year Explorers brought home a first place trophy in the Dark Web academic session. New Hope’s Explorers and their advisors are pictured at right. The New Hope Crime Prevention Fund was able to provide $500.00 in support of the post to help make it less expensive for the members to attend the conference and to help pay for uniforms and other supplies needed for the competition and the ongoing activities of the post. The members of the New Hope Police Explorers donate many volunteer hours to the New Hope Police Department and help to support most of our crime prevention and safety events throughout the year. We thank them for their service to the community and congratulate them on a great state conference!